Once in a lifetime opportunity! Quiet, country living with endless possibilities. Meticulously maintained property on pristine 5 acre lot offers 4 bed, 3 bath home with amazing great room - over 3245 FSF. 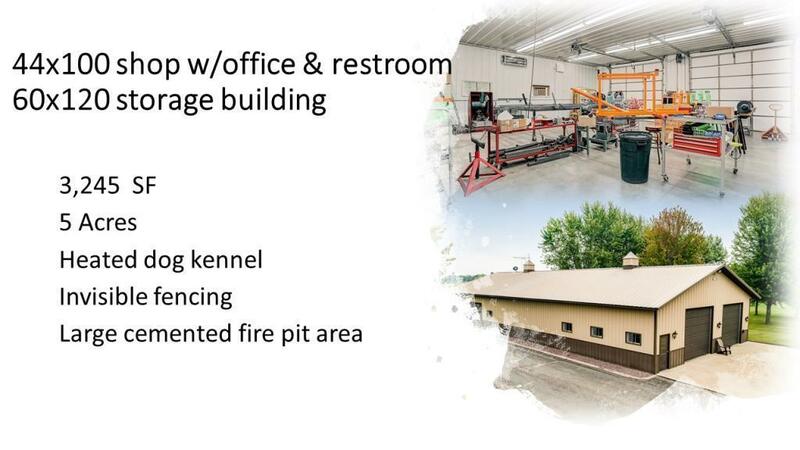 44x100 shop w/office & restroom, 60x120 storage building, heated dog kennel, invisible fencing, large, cemented fire pit area. All buildings feature maintenance free exterior. Home Warranty included.